There are two questions that plague motorcycle riders: “What bike is better?” or “What bike is right for me?” Ultimately, the second question is much more important than the first. Having the best bike has nothing to do with your enjoyment. Having the best bike for what you want, need, or expect is much better. And this begins the story of my Versys. 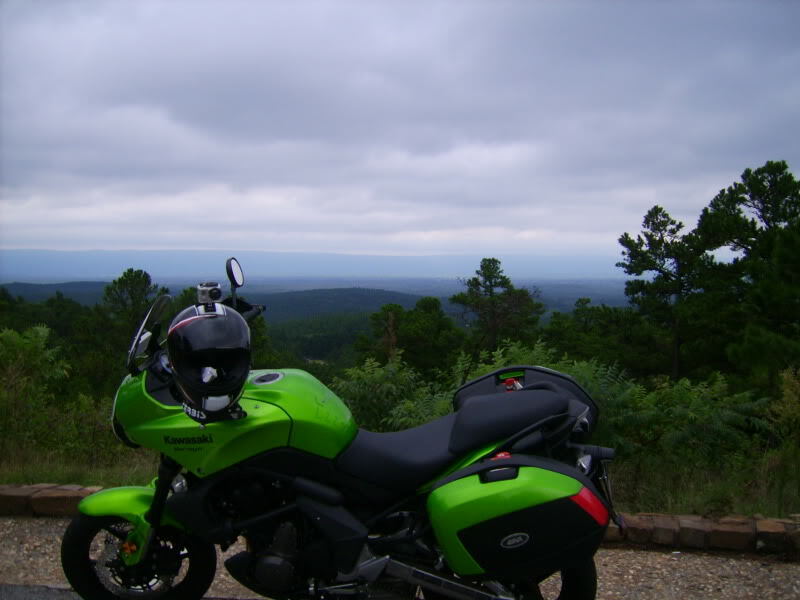 When I purchased my Versys I had grand dreams of taking long road trips on it to interesting places. 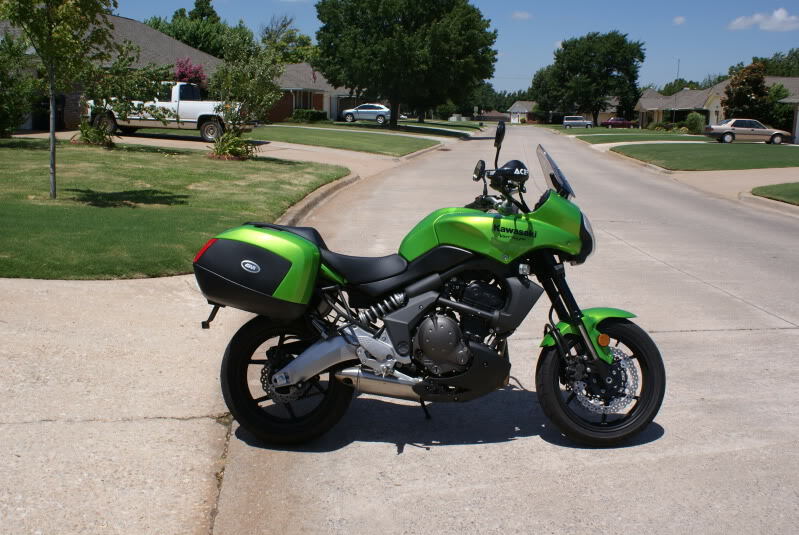 I outfitted it with a full set of beautiful Givi luggage and off I went to Arkansas. 550 miles later I realized long distance touring may not be my thing. I lost quite a bit of money in the purchase and sale of my Versys. I did like the bike, but it just wasn't right for me. It’s this realization that pushed me to write this blog contrasting two of the bikes I've owned. I am going to start with the KLR and sum it up in one statement. The KLR does nothing well, but it can do anything. 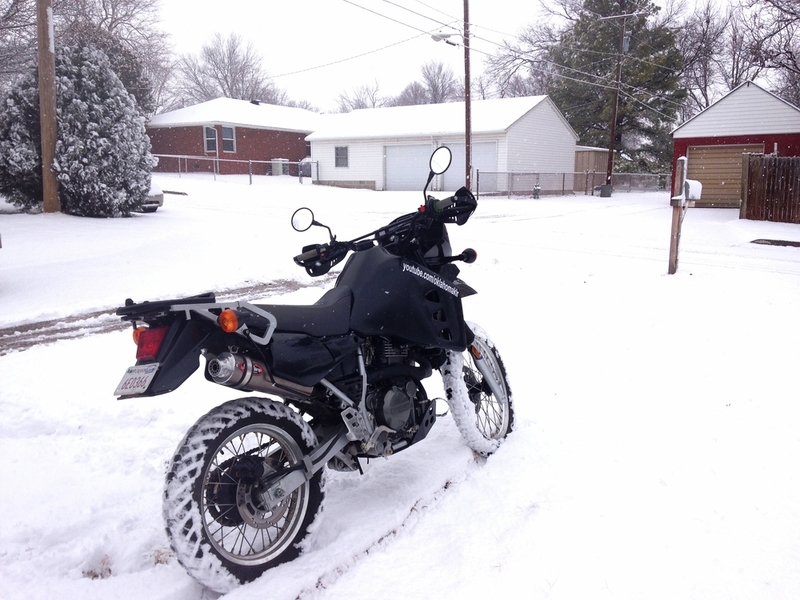 This is both the KLR’s positive and negative attribute. If your perfect ride is long distance rides covering vast expanses of gravel, dirt and paved roads then the KLR might be the right bike for you. If your travels consist of no off road then I feel the Versys is a much better alternative. I have found that the KLR can be built into whatever bike you want it to be. With the right choice of aftermarket parts it can go from a light tourer all the way to a tough off road machine. The KLR is a great starting platform for someone to build into the perfect machine. In my opinion, the order of importance when upgrading your KLR is this: Seat, tires, forks, shock. Everything after this is personal preference. The Versys is an interesting bike. The Versys shares much with its little brother the 650 Ninja. Same shock, engine, wheels and a bunch of other parts. But the character is much different. I know, because i have owned both the Ninja and the Versys. 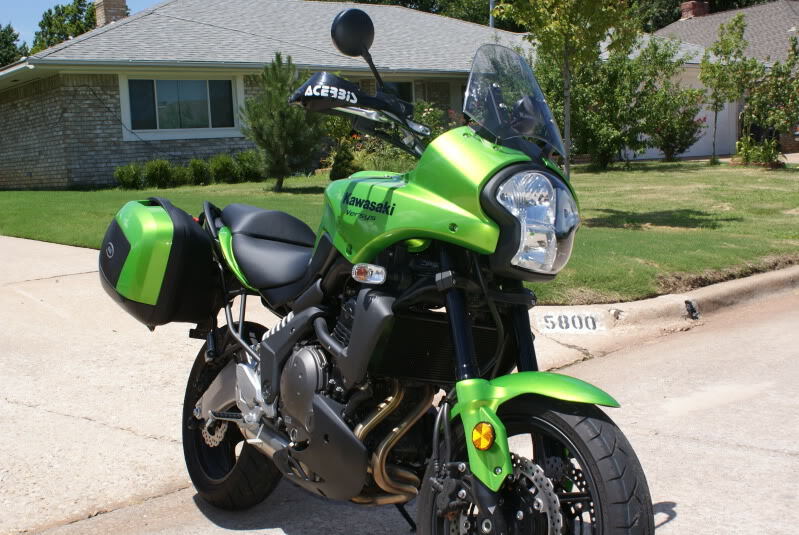 The Versys engine is strong, it has a great linear power band that really pulls in the mid range. The engine is excellent for the street. However, it does lack the low end grunt of the KLR engine. The Versys has a nice set of forks that are spung fairly firm and are good for street riding. The shock is adjustable for preload. The seat, wind protection and seating position are all good. The bike is probably one of the best around town commuter bikes available, but this is a comparison to the KLR650 and the Versys is no match for the KLR when things get rough. The biggest advantage of the KLR is the front wheel. The KLR sports a narrow 21" wheel, while the Versys has a wide 17" front wheel. The other thing that makes the KLR a better off road bike is the engine. While the KLR vibrates and clicks and clunks, its motor has a lot of low end grunt making it easier to loft the front wheel over rocks and obstacles. The Versys engine is a little hard to control at slow speeds, and doesn't really shine until the revs get higher. To sum things up, if your riding avoids off road terain then the Versys is definitely the bike for you. The engine is smooth, the seating position relaxed and it has long maintenance intervals. The Versys is not an off road bike. The 17” wheels are great on the road, balanced, tons of grip and easy to find rubber for. While the Versys can't do some things the KLR can, I believe that the KLR can do anything the Versys can. With the right aftermarket help. Your mileage may vary. I hope that this article will influence your buying decision if you are considering one of these bikes. Both are good bikes, but with different purposes.